Asset management makes it easier for you to track the financials of your real estate portfolio. In the commercial real estate world, asset management is often called real estate portfolio management or asset tracking. If you’re like many real estate companies, you may not have an easy way to view all of the financials of your assets in one place. Incorporating asset management analytics into your company can give you a clear picture of your entire business, helping you to make better decisions. The end goal is to maximize the value of your properties and improve your bottom line. Here are some of the ways real estate portfolio management and asset management analytics can help you achieve your goals. Most real estate businesses own multiple properties, but they don’t have a systematic way of consolidating all their data in a single space. Instead, they use some combination of spreadsheets, partial files in QuickBooks (or other accounting systems), paper files, electronic files, and partial files in property management systems. The problem occurs when you’re trying to pull all the data points together. It can be hard to sort through the critical information your company needs to where the real value resides in your real estate portfolio. Accessing this important data can be frustrating and time-consuming. Data might be inaccurate or not up to date. You and your staff may be wasting time going to different locations to get the data you need. But with real estate asset management, you get a time-saving compilation of your entire portfolio. With a good real estate asset management system, you can view your entire portfolio data quickly and easily. You can also filter based on certain criteria to find the exact data you want. Subscribe to receive relevant industry information to help your business grow! If your real estate company owns multiple asset types, you know the struggle of keeping track of everything. There are various considerations and challenges when it comes to different properties. Many real estate investors own a combination of office buildings, retail space, multifamily units, warehouse spaces, and more. With an asset management program such as STRATAFOLIO’s data analytics software, you can accurately compile and analyze data from multiple asset types. Add as many properties as you want and compare them all from one platform. It’s hard to judge a property’s performance unless you can hold the numbers up next to comparable properties. With asset management analytics software, you get a visual picture of how your property stacks up to comparable properties in your portfolio. You can see where costs might be out of line and, just as importantly, where you’re on track. Having easy access to this data can prevent you from overlooking the advantages and the shortcomings of your properties. You should be taking advantage of every opportunity to help your properties perform better. When speaking with your investors, lenders, and/or partners, you want to be able to share relevant, timely data on the performance of your properties. Having well-organized data is key in these situations. Additionally, with a good real estate portfolio management system, you can get a clear picture of your loan/lender profile. Ultimately this provides information on how you are leveraged and with who. When you have the right data on hand, you can also provide a more accurate forecast for the future. Along these same lines, the information you glean from asset management can help you make preemptive or preventative decisions, saving your company a great deal of money. Imagine being able to answer the questions from your lenders and investors as they come to you, rather than having to delay responses so you can access the data. When your real estate company owns multiple properties, it can be easy to get caught off guard when it comes to expenses and income. Some of your properties may be bleeding the company money, while others are carrying the company — and you can’t always tell which ones are which. If you have an organized way of tracking data, you can accurately measure your expenses, income, and more. Also, you can easily determine which properties are performing and which ones need attention. Asset management analytics can help you make smart, data-based decisions about all your investments. This translates into maximizing the value of your real estate portfolio. By increasing the net profitability of all your commercial properties, you can increase your bottom line. And, if you’re planning to grow your business, asset management will help you make better decisions when it comes to acquiring. Interested in learning what STRATAFOLIO has to offer around asset management and analytics? Get in touch with us today to arrange a consultation or to see a demo of our product. We’re happy to answer any questions you may have to help you with your real estate portfolio. If you liked this blog, please share it with a friend. Also, if you want to receive regular articles to help with your asset management, subscribe here. Search for another STRATAFOLIO article here. 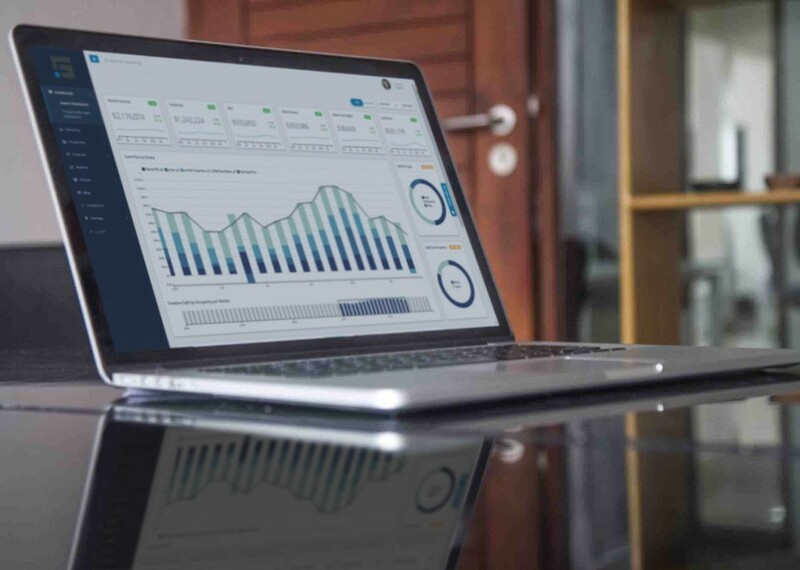 STRATAFOLIO is an online software solution that provides real-time data analytics for commercial real estate portfolios in an intuitively designed dashboard.